What do I define as my chaos? *Chaos is getting up and getting the kids ready for school every morning. Although I put them to bed right at 8pm every night they don’t fall asleep right away and sometimes are still getting up with the “I’m thirsty…I need to go pee” crap well after 10pm. Other nights they are out in 10 minutes and then usually up way earlier than my alarm. *Chaos is shoving and yelling getting them all in the car and buckled and ready to go somewhere. Sometimes this can take longer than it takes to get to the location we are trying to reach. It’s always a fight over who’s going to sit where, or someones carseat is blocking the other’s seatbelt and they won’t move. *Chaos is looking at the laundry pile that I decided to put off for a couple of days and now has grown to an unattainable unwinnable unreachable impossible state to get finished. Like I seriously just see myself buying an incinerator to throw it all into. The kids will be fine going to school wrapped in cloths and duct tape right??? *Chaos is my children’s rooms that never seem to be clean even 5 minutes after I spend two hours in each one of them organizing and getting rid of junk. It’s like suddenly they have rediscovered all their toys because they have been organized and put away. *Chaos is trying to plan an entire summer’s worth of vacations with my husband in one day. Why you ask? Well because my husband is like that. When he gets going on something it’s get it done RIGHT.NOW….all of it. Why put off utnil tomorrow when you can get 3 months worth of planning done in one day? 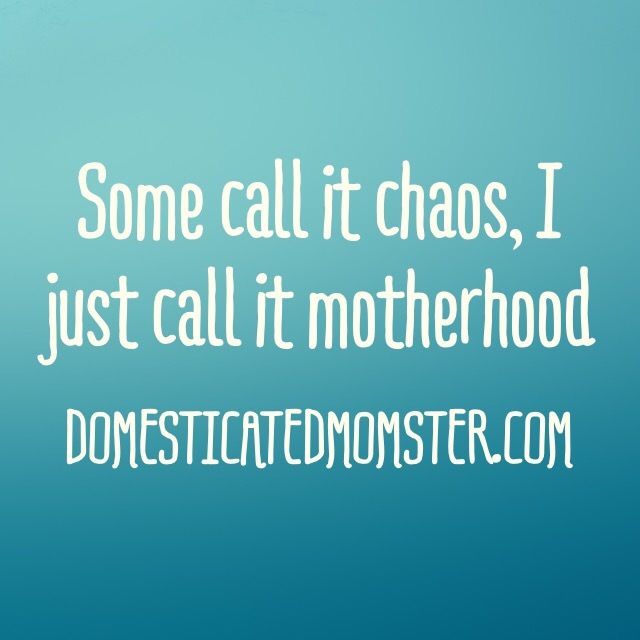 *Chaos is trying to get some blogging, exercise, and errands done in the few hours I have to myself in the mornings before I have to pick the girls up from preschool and a whole new battle of chaos begins. *Chaos is trying to decide what’s for dinner EVERY. DAMN. DAY. Then forgetting to take the meat out and having to make a trip to the grocery store where I then buy more stuff that wasn’t even on my list. *Chaos is there’s 2 t-ball games this week and I am on the volunteer sheet for snacks for both games. And then that thought reminding me that their uniforms are in that pile of clothes waiting for the incinerator. Unless of course it didn’t make it to the hamper and is under the bed, folded up in a sheet, tucked under a stuffed animal. Yes really. 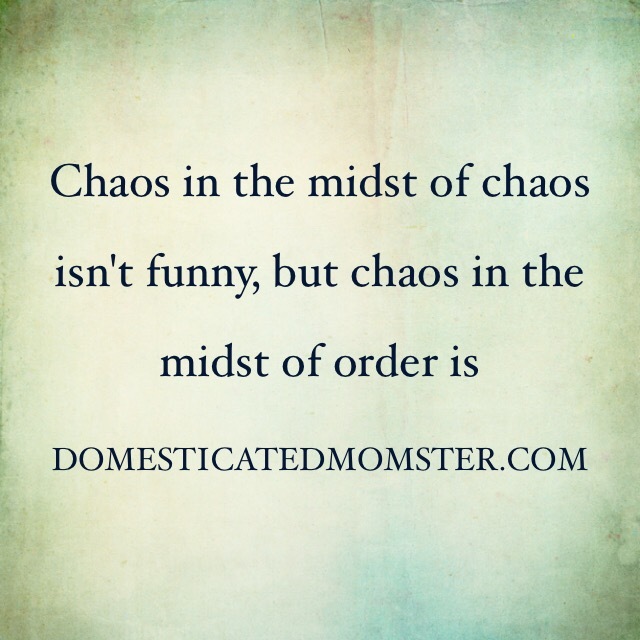 *Chaos is at this very moment, that I am trying to get this post finished, my 5 year old wants to argue with me about why she doesn’t get paid for her chores. WHAT?!?! She’s 5! I quickly remind her that she lives here and everyone has chores to do. *Chaos is looking at the list of things that need to get done before the end of the school year. 4 kids and 3 different schools. Ceremonies, graduations, and special days to attend. *Chaos is listening to my 16 year old and 6 year old fight like an old married couple cats and dogs, and wondering if they will ever obtain a bond with the 10 years there are between them. *Chaos is my 16 year old wanting to argue with his dad and I about everything because, well, he’s a teenager and knows everything. *Chaos is having a house that I can’t keep organized because I need about 3 clones of me or more hours in the day. And before I had kids you could eat off my floor because my house was that clean. All. The. Time. So in the midst of all my chaos I find peace. It might only be moments of guzzling a bottle of wine peace sometimes, but it’s still there. The chaos reminds me that I am alive, healthy, and blessed to be surrounded by 5 human beings that love me. That we have a roof over our heads and food in our bellies. And so for all those blessings…I will gladly accept the chaos. Rockin’ the chaos and enjoying the ride. I used to be able to eat off the floors-now we are lucky if the plates are clean enough. Making memories. Priceless. Lmao! I used to have a friend and she had kids and I didn’t and I’d find strange food particles in her couch. I totally get it now lol. Oh, we had friends whose entire house felt like the floor of the movie theater. This was pre kids for us too. Now, living it. Mine eat too slow so now there’s no tv or nothing until everyone is dressed and ready to go. Then there’s usually no time lol. Wow, can I relate to this post! My kids are teenagers and argue with each other every.single.day. As far as laundry, I started giving my kids a laundry day because I had done seven loads in 2 days. So far, it’s working. Do you think you coaxing your 16 year old into doing that? My 16 year old has done his own laundry since he was 8! 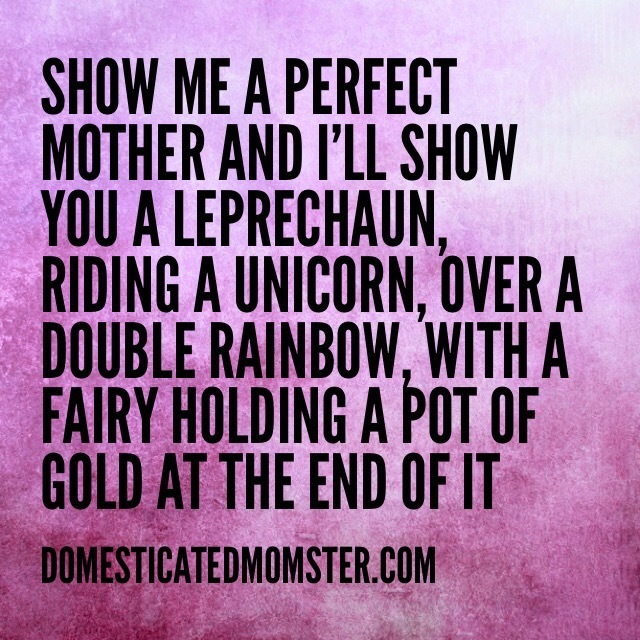 And my 6, 5, and 4 year old all have chores. They may think I’m mean mommy but someday they will realize I’m teaching them work ethic and how to not rely on someone else to do simple things like cook and clean. Awww thank you! Just lots going on but I will still be popping in and out!